Hello users, Reliance jio has been known for It's amazing offers. In every occasion Jio never forgets to bring new new offer for users. Now Reliance jio has bought three new features. If you are a jio users then it might be excellent news for you. 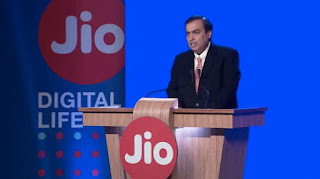 Reliance jio has completed 2 years on telecom market. Last year on the eve of New year Jio bought Happy new year and jio usersenjoyed the offer lot. Now it's a few days left for New year andjio has bought some good news for users. Although it’s not an any data plans but still it's a good news for all users. OK then let's see what are these3 great news is coming from jio. If you are a users of any telecom operator like Airtel, Vodafone, Idea, BSNL etc then, you might experience about the spam SMS or calls from respective operators and disturbing you by call about the offer in no mean time. But nowit is not so. 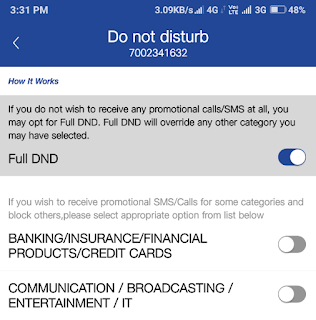 If you are a jio user then you won't get any SMS or calls by done a simple setting in my jio app. 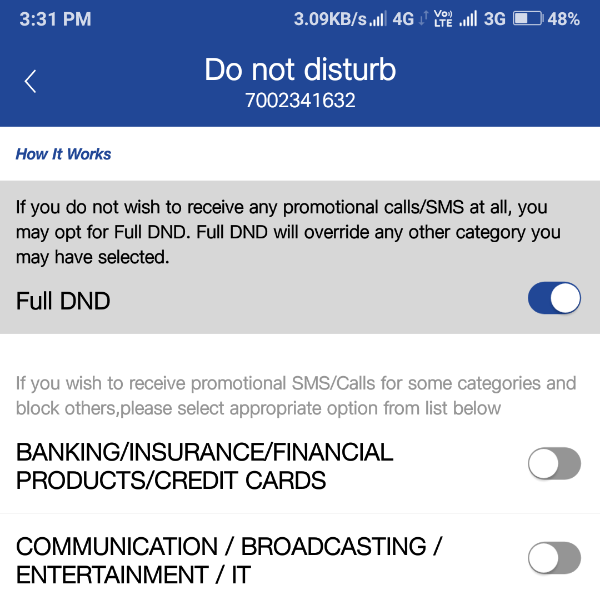 How to enable Do not Disturbs on my Jio app ? First of all if you do not have my jio app in your phone then please download it from play store. After installing go to menu bar of the app in the top left corner and find the settings options down below and click on it. By doing that you will get an interfaceas likes above. Just enable the Do not disturbed and you have done it. After doing this setting you will get an activation massage for this service from jio. Just enjoy it! 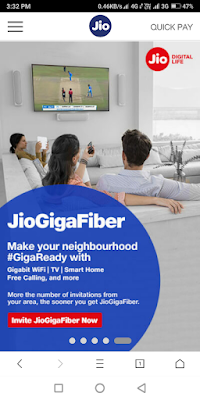 Do you wanted to buy jio Goga fiber ? It's the easiest way to install Jio Hoga Fiber on your home. I will tell u how. Go to your My jio app or Reliance jio's official website you will see that a new banner has been added by jio nowadays. You can see the picture provided below. Just click on that banner and a new page will open for verification. Here you have to complete 4 easy steps to get Goga fiber at home. First of all put your address in the form or it will fill automatically if you have kept on your GPS location on on your device. After thatanother page will open and in that page you have to submit your Name, Mobile number and Email id. After filling that another page will open and in that page you have to submit your Actual address where you want to install the Goga Fiber. Just put your address and proceed it. You are done. You will get your Jio Giga fiber at your home. 3. Reliance Jio Collaborated with Flex. Reliance jio been always targeted the newly phone buyingcustomers and make phones with cheap price. That's why every jio phone which may jio phone 1 or jiophone2 were hit on Indian market. So that Reliance again wants to buy a new device which will be a smartphone on the market. That's why Reliance Jio signed a contract with Flex. Which is a popular smartphones' maker company in United State. Reliance jio Infocom is in talks with US contract manufacturer Flex for locally producing about 10 crore mobile phone handsets. Because Mukesh Ambani Wants to enhance their market globally. The Flex smartphone manufacturer company is one of the popular phone manufacturer company in the world. The Company currently has the capacity to manufacture about 4-5 million devices per month at its factory in the Special Economic Zone (SEZ) near Chennai. So those were the great news has come from Reliance jio. Hope you enjoyed it. What's about your opinions about those news don't forget to tell us on comment sections and to get daily latest updateslike this you can follow us on Facebook, Twitter or Google+. Thank you for been here !